Acupuncture is one of the oldest health practices in the world. Acupuncture is a part of traditional Chinese medicine that involves stimulation of various points on the body using very thin, solid needles. These needles are much smaller and more solid compared to the traditional medical needle used for blood draws, vaccine’s, etc. 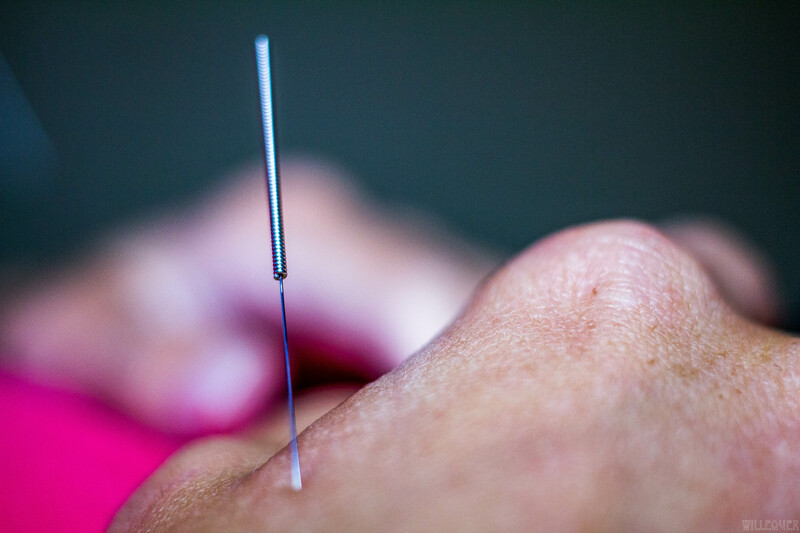 Acupuncture needles due to their thinness slide in to the skin with ease and little to no pain at all when compare to needles used to draw blood or inject substance into the body. Traditional Chinese Medicine determines which points to stimulate with needles based of Qi flow throughout channels of the body known as meridians. In Traditional Chinese Medicine Qi is energy flow that is present throughout the entire body. The acupuncture needle itself being that it is solid metal conducts a extremely small current through the body and can help to move Qi or energy to places in need of healing or more energy. Acupuncture’s use for a variety of conditions has been endorsed by the World Health Organization, the United States Institute of Health, and the United States Military. Sport’s injuries, joint pains, muscle pains, etc. Dr. Reynolds has been passed board examinations to perform Acupuncture as a chiropractor as well as taken over 100 hours in post-graduate study in Acupuncture.